Hi my name is Christina Green, although I have been given many names over the years as you will find out within the pages of my Autobiography "The Life of Riley". Christina Green is my name today through marriage and my maiden name is Riley and this is about a small toddler myself as a three year old. I was born of Aboriginal and European decent I am of the first people of this land the true care-takers I am of the Wiradjuri tribe my mob live around the Wellington and Dubbo region and growing up in an era of the stolen Generation, this being after the invasion of white settles and the "White Australian Policy" in which children were taken from their parents for their own good. After being taken from my family and all that I know this is where my life changed direction in which I was meant to travel this is Bidura a government run institution run for children from young babies to toddler to teenagers, its where I was first placed as a three year old toddler, this is where my life starts in State Care where The Government are my guardians my protectors my given parents now. For who does a small child depend on for their existence, such as food, shelter, love, and nurturing, to be clothed to be put to bed at night to be comforted when in distress and told that that they will be alright. 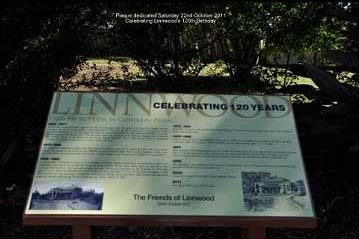 In 1968 when I was here Linwood Hall was named "Lynwood Hall" and was used for girls aged between 11 to 13 years or age they did domestic training and schooling on site, till 1970 till another change occurred. I had very fond memories here in Linwood Hall as it is named today. I have since returned as a young mum when I was applying to become a foster parent. I revisited to see how the place was being utilized at that time, around 1981 I was accompanied with then Social Worker who had accessed me for fostering for being a suitable foster parent to care for children in the Bankstown area. The old building still looked the same a little deteriorated for wear, and not as polished, bronzed brass and dusted as once was when the girls attended their daily duties unfortunately. I again attended in 2004 and on frequent occasion on Reunion Days for past resident of the then Lynwood Hall, McCredie Cottage and Faulds House. I really enjoyed these visits, to meet up with old friends from my stay there years gone by, and to meet new friends from other eras sharing stories of their experiences some good most bad, we were always greeted with love and care with and a delightful array of refreshments and served by the Friends of Linwood Hall the residence of the local community, who had taken an interest in the old decaying property and fighting to preserve its history.